Volumetric Ready Mix Concrete – Pay for what you use. 365 Concrete know that getting your concrete estimations and calculations right can often be a difficult process and can lead to both under and over ordering concrete, an often costly mistake. This is a problem of the past though with our Volumetric Ready Mix Concrete Trucks. Our fleet of Volumetric Ready Mix Concrete Trucks ensure that you will never have to worry about that though. 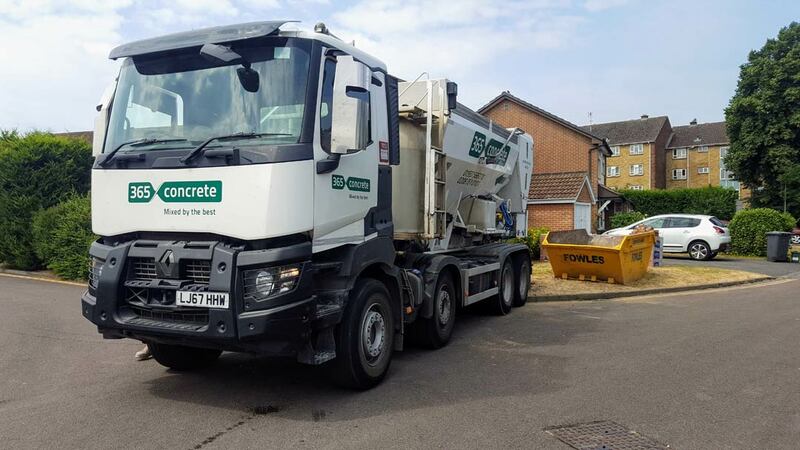 We only mix our concrete on site, making sure that you will only get the exact amount of concrete that you need to get the job done with no fuss, mess, or waste. The 365 Ready Mix Concrete fleet is perfect for all manner of jobs ranging from smaller domestic pours to large commercial projects. 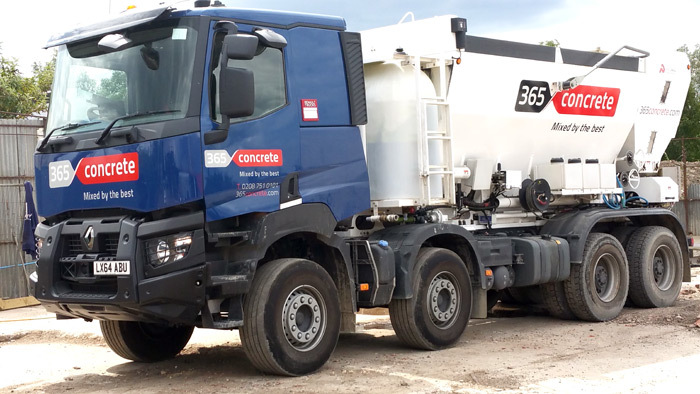 Our drivers are professional and fully trained, and at 365 Concrete we only use the best quality materials for the job, ensuring the end product meets with our high standards. So if you’re looking for a concrete supplier you can trust, get in touch with 365 Concrete today!